That old familiar feeling--now with working heat! Don't worry about sport tuning and exotic gearboxes: the turbocharged VW Beetle with the dual-clutch transmission is the one to buy--that is, until the diesel version drops sometime in mid-2012. It's a tale of two Bugs: base Beetles are boring, but 2012 VW Beetle Turbos have us seeking out the nearest exit ramp. 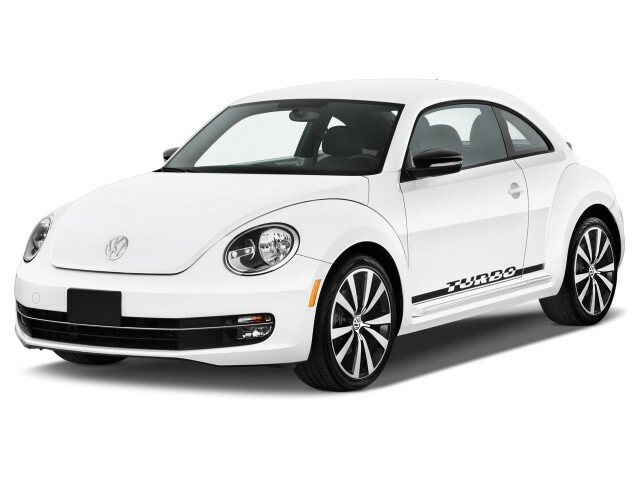 The 2012 Volkswagen Beetle would like us all to forget some things--that it ever had "new" in its name, that it ever had a bud vase on its dash, that it ever occupied more parking spots at more sororities at more of our nation's colleges than actual pledges did. That's, like, totally possible, right? This time around, the Beetle wants to be your bad bromance, and it gets things rolling with sheetmetal that's been butched up and pulled taut. If the flat-top roof, the unsubtle Turbo stickers and the red-painted calipers didn't clue you in, we'll just point to the place on the dash where the flower pot used to live. Now, the base Beetle doesn't live up to that hype, but it's fine for the kind of commuting chores that won't tax the generic acceleration of its five-cylinder engine and the bobbly handling generated by its torsion-beam suspension. 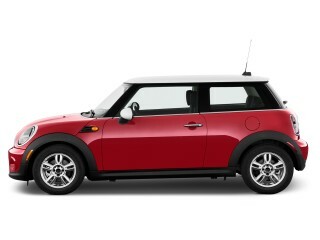 Fine, as long as the middling gas mileage doesn't steer you into a MINI Cooper or a Mustang instead. Check off the Turbo boxes, and now, we're talking. This is the punchy Bug, with VW's omnipresent, heavy-breathing four-cylinder flipping out 0-60 mph runs under 7.5 seconds while it doles out some not-unpleasant whining and growling. VW's dual-clutch transmission passes the winding-road test with flying colors, even if it bogs a little from a dead stop. A touch of body roll here, a quick crank of electric steering there, and the composed Beetle Turbo feels like it has much more potential than its B+ average indicates. The Bug's even a little more practical now. VW says it has more room than before, and it's felt in the front two seats, though the extra space seems to spread out all to one side: the console's still close, the door panels farther away. The back seats can be endured by adults, but skimpy leg room means this is still a classic 2+2, no EPA-standards sedan like the BMW 3-Series two-door. Trunk space gets better on paper--so why could we only stuff it with two roll-aboards? At its most clever, the Beetle recognizes how the digital world has changed cars, at least in entertainment features. Safety gear lags a bit, with no rearview camera linked up with the available navigation, but every Beetle can have a USB port, Bluetooth audio streaming and a classy Fender-penned sound system with some epic midrange talents. The Beetle name has sold more than 20 million vehicles, over more than half a century. But for the past decade, it's been tougher and tougher to get overwhelmed by history alone, tougher to give the old New Beetle a pass for lackluster performance and aging kitsch. Now the likeable Beetle's become way more interesting to drive--and we're more than ready to take on diesel and R versions, cars that probably will outpace the newest Beetle Turbo as the best Bugs yet. The 2012 VW Beetle swings to the masculine side of the styling spectrum, and knocks down the pricey Audi TT in the process. Remember the happy-go-lucky days before gender studies assigned identities to everything? Back then, the VW Beetle was neuter, and unaffected by it. With the New Beetle, VW tackled a new identity, a feminine, friendly one. Ever see the anti-war ads with a flower stuck in a gun? The New Beetle had a flower stuck in the middle of its dash, in a standard bud vase that forever slurred it as a "chick car." Now the Beetle's swinging in the other direction, with a masculine style we can't help but think has been handed down from the Audi TT, which is at the end of its meaningful sales life. The Beetle's roof has been flattened, its body drawn longer, its haunches widened, almost all the semicircles and demilunes erased from its form. In their places, a flatter hood and a steeper windshield that shrinks the gulf between the driver and the glass. Even its wheel arches seem less perfectly round than before. Turbo models wear a black-topped rear spoiler, and big Turbo graphics, xenon headlights, and wheels up to 19 inches across. The Beetle's cabin has some new playful flair. The gauges are framed by a flat-bottom steering wheel on Turbo models, and most versions have body-color plastic panels accenting the dash, though Turbo owners can opt for a carbon-fiber-look material that will date many a car of the past decade one day, it's become so prevalent, and so cliched. It's less easy to see, more a feeling, but the Bug's more upright interior is the most evocative piece, not the little fillips of aluminum trim on the secondary glovebox, doors and steering wheel. For enthusiasts, the 2012 VW Beetle Turbo is the only choice--and even everyday drivers might agree with its crisper handling and sweeter speed over the bland base car. To know how the 2012 VW Beetle performs, you have to think of it as two vehicles wearing the same nameplate. One's essentially a coupe version of VW's swift, spunky GTI. The other Beetle? It's duller around the edges, more comfortably sprung--a little more true to the Pillsbury softness of its sheetmetal. The base Beetle has much in common with the VW Jetta: they're built alongside each other, share a 170-horsepower five-cylinder engine and a choice of manual or automatic transmissions, and use a less-expensive torsion-beam suspension to cut cost without cutting into the VW performance image too much. 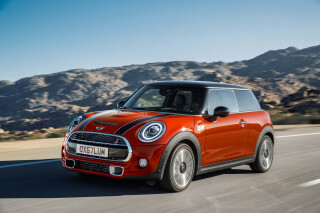 The result is gentle acceleration and middling fuel economy, a combo platter that tastes wan next to the likes of the MINI Cooper, and even Ford's base Mustang. The Beetle fires up with the offbeat, blatty rap all five-cylinders share, and pushing it through the responsive automatic's paces doesn't create much excitement. It's capable of generic 8-second 0-60 mph times, accompanied by the usual five vibrations. Steering feel is light, but hydraulically actuated, so it's predictable and hooks progressively as the Bug bobbles on its base suspension, with a fair amount of body roll. The Beetle Turbo--ah, now that's more like it. If you've driven a GTI, the flat blast of torque from VW's 2.0-liter turbocharged four is as welcome as it is familiar, and its three bonus gauges for boost, timing and oil pressure are the perfect semi-kitsch addition. With most of the 207 pound-feet of torque on offer from 2500 rpm, the Beetle Turbo drops the 0-60 mph times to well under 8 seconds. It's more vocal than ever, but the noises seem endearing here, more viscerally happy than the euthanized five. The rear suspension gets an upgrade to multiple links, which flattens out the handling and beefs up the Beetle's grip, through 18-inch wheels and tires. There's still an appreciable amount of body roll, and the electric steering is good but not transparent, but the turbo Bug's ride is drawn tight enough to boost your interest in running it on boost as often as possible. Turbo Beetles also come equipped with XDS, an electronic system that tries to simulate a locking differential. It's touted to minimize understeer, which the Beetle still has in warehouse-store quantities. If you're interested, bring a lot of that boost into a fast, tightly drawn corner. The manual-shift Beetle was unavailable on our first drive; VW's paddle-shifted dual-clutch automatic nailed passing-speed shifts with its typical precision, but there's mild shift shock here that we've never felt in previous DSGs, and more of a tendency to catch the drivetrain off turbo boil when pulling into intersections and away from low-speed corners. The brakes give a bit too much travel but seemed to bite deeply enough around West Virginia switchbacks to make this Beetle more engaging and more serious than the bubbly old New Beetle ever was, even after you got it to stop giggling. A classic 2+2, the 2012 Volkswagen Beetle has lots of head and elbow room, but rear leg and trunk room are still a bit skimpy. The 2012 Volkswagen Beetle has grown into its more masculine shape, as if it's been exposed to some insectile growth hormone. It's 3.3 inches wider than it was in its more girlish figure, and it's a full half-foot longer. Much of the extra room relieves passengers of the old, cramped seats from the old New Beetle. Volkswagen says the extra length goes to flattening out the roofline, which extends the roof peak farther back along the Bug's body, which is the primary reason tall adults can actually fit into the front and back seats with some headroom to spare. The optional sunroof can't dampen that victory, even. Front passengers get some flat-bottomed seats on base Beetles. Count the sport seats in Turbo versions as a win; their horizontal seat stitching works retro magic, and even though it's pure vinyl seating with no leather option, the bolstering and supple cushions really lack little in comfort. It's even easier to reach the Beetle's seat-height lever and knob adjuster for seatback angle, when you have to--a power driver seat is available. In front, leg room is up two inches and shoulder room grows by 2.5 inches. As in the Jetta, the elbow room comes mostly to the left of the driver: sitting off of center, you'll make knee contact with the center console, but will have to reach to rest on the door panel. The back seat may have almost a half-inch more head room and more leg room, but it's still tight for adults. With the shallowed dash, front passengers can scoot closer and leave more foot space for those in back, but it's still better reserved for small adults and kids. Small-item storage has been carved into most of the available nooks and crannies. The traditional glove box is deep enough, once you ditch the thick owner's manual. The available kaeferfach box has a lovely aluminum pop-out lever, but it's pretty shallow and tall, and pretty un-useful. The shallow dish on the dash is practically made for an aftermarket GPS mount, and your smartphone will fit nicely in the bin ahead of the shifter. Pens and Post-Its are about all you'll wedge into the available armrest bin. On paper the Beetle's trunk is bigger, up to 15.4 cubic feet of space, but the sloped hatchback means only a pair of roller bags and some soft-siders will fit unless you fold down the rear seats. Bonus: they lay nearly flat, and expand the cargo area to just under 30 cubic feet. While Volkswagen has made the Beetle a quieter place for European customers, North Americans get versions with thinner glass, and it's evident in the way the Beetle, especially the Turbo, reverberate with drivetrain and wind noise. The engine's turbo burble and four-cylinder gurrs are fine, and actually make us want to push that Beetle around more roughly. We can't say the same for the tire noise at highway speeds, or the high-velocity wind whistles that come off the mirror housings. Our tentative safety rating for the 2012 Beetle figures in VW's strong safety reputation--but factors out unavailable features like rearview cameras and parking sensors. Because the 2012 Volkswagen Beetle is a brand-new model, it has not yet been tested by the Insurance Institute for Highway Safety (IIHS) or by the National Highway Traffic Safety Administration (NHTSA). Volkswagen's strong history of crash safety will have to carry the Beetle for now, but we'll revise these ratings once scores are made public. Every Beetle will have the requisite standard front, side and curtain airbags; anti-lock brakes and stability control; and active head rests. VW fits fairly large rearview mirrors to the Beetle, and though there's a bit less visibility to the rear than before, it's not difficult to get a good view of the driving environment from the driver's seat. Bluetooth, which we consider a safety device, is available or standard on all Beetles. That said, Volkswagen does not yet fit the Beetle with features like parking sensors, rearview camera, or blind-spot monitors--tech options we've come to expect on vehicles in the $30,000 price range, and more and more, the $20,000 price range. Fender bass lines and a big view of the sky above are some of the 2012 VW Beetle's best available features. Priced from about $20,000 to just over $30,000--a couple of thousand dollars more than in 2011--the 2012 Volkswagen Beetle confirms yet again that the customization lessons taught by MINI and Scion are being absorbed by every "iconic" car on the market. The basic $19,765 Beetle comes with a standard CD player with an auxiliary jack; a leather steering wheel; 17-inch wheels and tires; and a split-folding rear seat. On this version, VW offers packages that include Bluetooth; iPod connectivity; ambient lighting; Fender premium sound; 18-inch wheels; a panoramic sunroof; leatherette upholstery stitched to look like the real thing; heated front seats; and a "kaeferfach" glove box that looks like the one on vintage Beetles. On the $24,165 Beetle Turbo, VW adds on the Bluetooth and iPod controls as standard equipment, as well as the ambient lighting and kaeferfach glove box. Also bundled in: red brake calipers; sport seats; 18-inch wheels; a rear spoiler and fog lights; a set of three ancillary gauges on the dash; a flat-bottomed steering wheel; and alloy pedals. We recommend the Fender sound system, which uses Panasonic speakers, a massive subwoofer and 400 watts of output for brilliantly rendered sound, from stripped-down acoustic pieces to Sixties walls of sound. Unlike many Bluetooth-streaming sound systems, VW's actually lets you use the steering-wheel controls to change tracks, a major bypass around musical frustration. 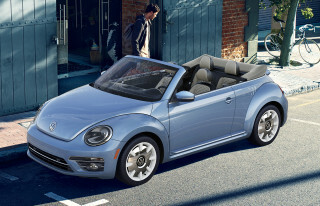 The panoramic sunroof is your best bet until the real Beetle Convertible bows sometime in 2012--it's almost twice as large as the panel on the old New Beetle. Volkswagen also offers a premium audio system with an SD card slot, touchscreen controls and navigation. The interface is colorful and renders well on the small 5-inch LCD screen. There's also an option for keyless entry and pushbutton start, but there's no option for leather trim in any Beetle, just as with the related Jetta sedan. VW is adapting some of the custom trim pieces to the Beetle portfolio. There are lively Turbo decals for that model; there's also a choice of nameplates for the car, whether you know it as a Kaefer or as a Bug or as a good, old Beetle. Some body-color trim makes its way into the cabin, too, in a particularly winning touch. Volkswagen's latest maintenance program also comes with every Beetle. 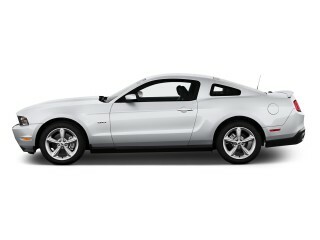 It covers all basic maintenance for the first three years or 36,000 miles of ownership, down to synthetic oil changes. With a 40-mpg model yet to come, the 2012 Volkswagen Beetle still earns competitive fuel economy ratings for its size and price. Volkswagen has high fuel-economy hopes for the Beetle. The 2012 model offers a choice of two engines with good highway fuel economy, and a 40-mpg version is in the wings to take on the likes of the Ford Focus and Hyundai Veloster--though it's unclear if it will arrive in time for the 2012 model year. The base 2012 Beetle comes standard with Volkswagen's five-cylinder engine. 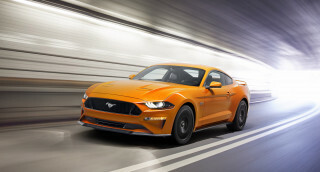 To be offered with a manual transmission, it's also coupled to a six-speed automatic transmission, and the combination earns an estimated 22/29 mpg. The EPA ratings aren't yet official: we'll update this page and the Beetle's green score when they're released. With the optional turbocharged 2.0-liter four, fuel economy actually rises. Volkswagen expects the Beetle Turbo will be rated at 22/30 mpg when equipped with the dual-clutch automatic transmission. A manual transmission will be available as well, but estimated gas mileage hasn't been announced. 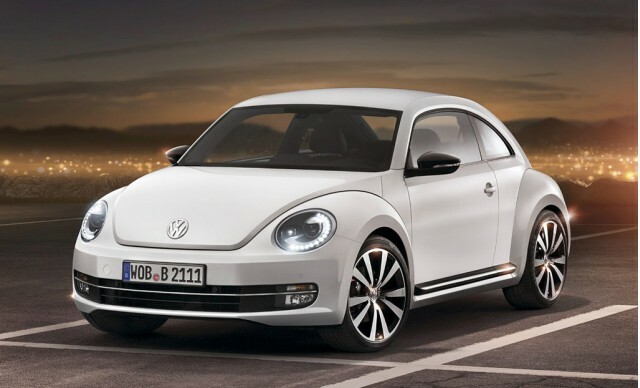 Finally, there's a turbodiesel Beetle on tap for sometime in 2012. Volkswagen thinks it may be the most fuel-efficient Beetle ever, and pegs its fuel economy at 29/40 mpg when equipped with the dual-clutch automatic. The official EPA ratings haven't been released, though. Too Small Even if It's "Cute"
Small interior feel to the point of claustrophobia provoking. Fit and finish is marginal. Seats are uncomfortable for a tall person on a long road trip. Respectable gas mileage. Basic maintenance for free is... Small interior feel to the point of claustrophobia provoking. Fit and finish is marginal. Seats are uncomfortable for a tall person on a long road trip.